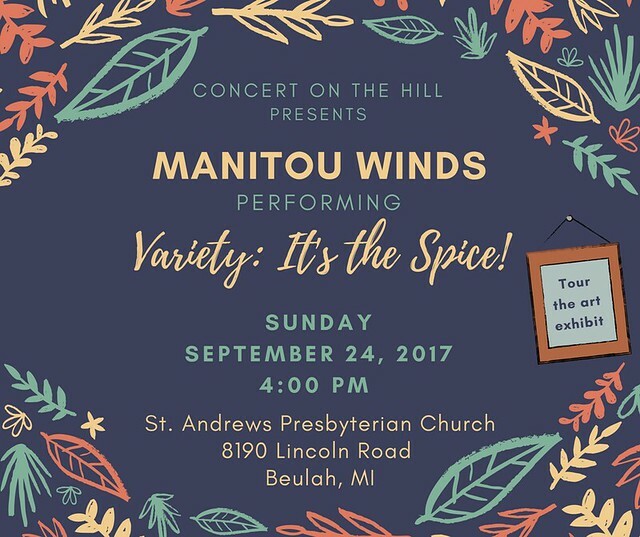 Our September concert (Variety: It’s the Spice!) is a celebration of musical variety — a daring departure from organization and the expected! The program is a secret, but you may get a few clues from our website and Facebook page in the weeks leading up to the performance. In the meantime, we hope you’ll enjoy a new series of recipes from the Woodwind Gourmet enticing you to embrace variety in the kitchen. Even with the myriad elements of musical notation available, composers often add descriptive words to help musicians read between the lines. How each musician interprets these words is as unique and personal as their choice of instrument. 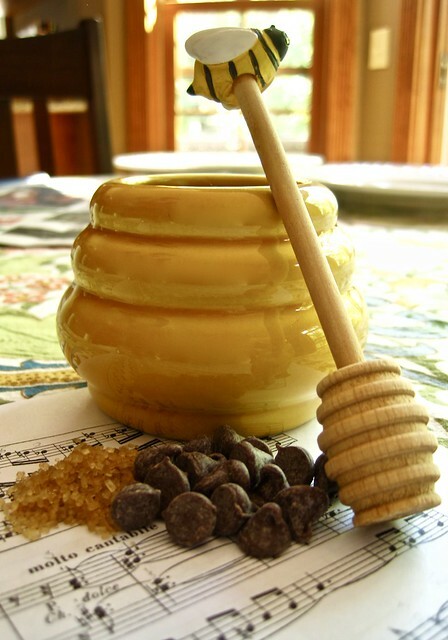 One of my favorite words to find in a musical score is dolce which simply asks you to play “sweetly”. In this final collection of recipes, we’ll play sweetly in the kitchen; calling upon a single versatile cake recipe to deliver an array of tempting treats fit for finishing a meal or rounding out a special occasion. We’ll start with a golden, buttery theme: butter cake! My first memories of butter cake are thanks to my paternal grandmother who taught me the fine art of adding butter to things! My grandmother always made her cakes from boxed mixes (perish the thought), but I think my simplified recipe would be one that she would have loved to try. There is such a thing as too much butter, of course, and there’s also such a thing as a complicated recipe with too many steps or ingredients. Thankfully, this recipe is the perfect balance of both! KEY TECHNIQUE: Cutting in Butter — Sadly, many homemade cakes are doomed from the start because the butter was either too soft or too hard (cold) to be creamed with the sugar. In most cake recipes, the softness of the butter affects the entire texture and rise of the cake to follow (not to mention you can also over-mix and cause problems). How soft is too soft?! For this recipe, we soften the butter to room temperature and simply cut it into the dry ingredients, skipping that whole “creaming” step. You won’t miss the extra drama and your cake will turn out perfectly! If you have room for only one cake recipe in your recipe box, this one deserves the spot: it’s easily made and versatile. With its rich, buttery taste and moist texture, it can serve as the center attraction or take on myriad toppings, fillings, and frostings. Preheat oven to 350-degrees. Butter two 8-inch round cake pans, line bottoms with parchment rounds, butter parchment lightly; dust pans with flour, tapping out excess. 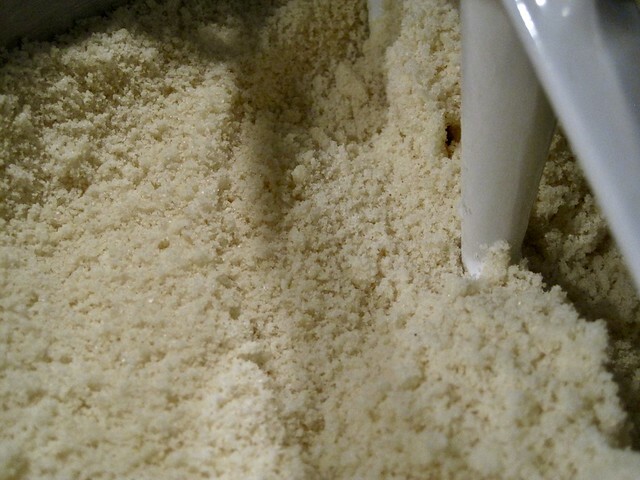 In the bowl of a stand mixer or a large bowl, whisk together flour, sugar, baking powder, and salt. Add the softened butter and cut the butter into the dry ingredients at low speed using the paddle attachment or a handheld mixer (mixture will be uniform and sandy). Add eggs and beat well, scraping down sides of bowl as necessary; add milk and vanilla, beat until just combined. Divide batter between pans; smooth tops with an offset spatula. Bake until golden and a toothpick inserted into centers comes out clean, 33-35 minutes. Cool in pans on wire racks 15 minutes. 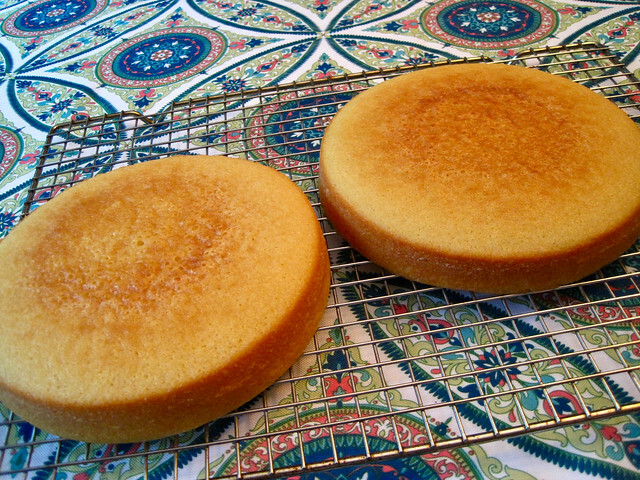 Turn out cakes onto racks to cool completely. 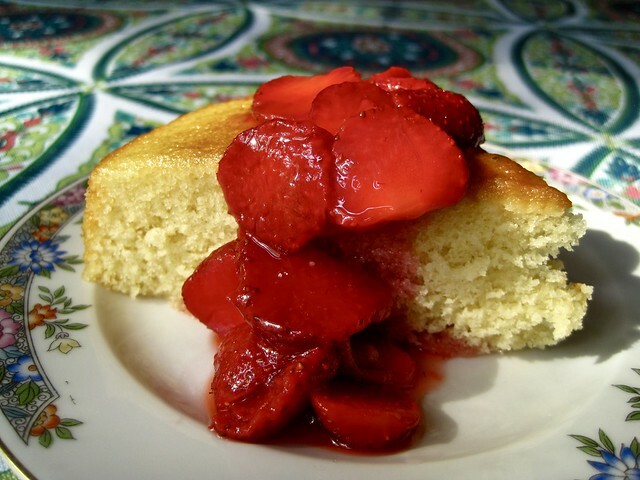 Serve with one of the berry toppings below or as desired. Combine first five ingredients (blueberries through salt) in a medium saucepan. 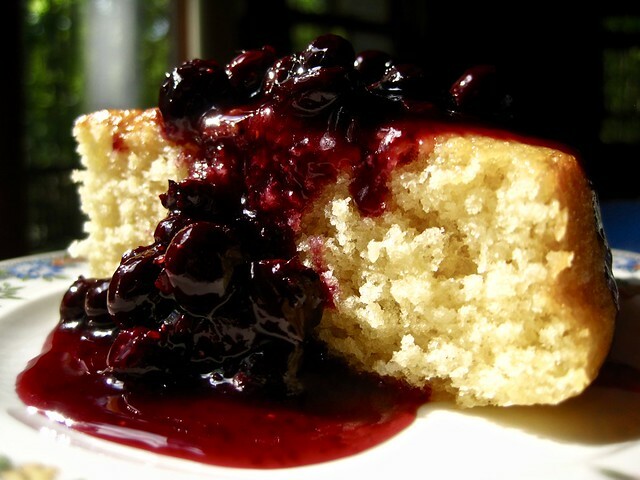 Cook over medium heat, stirring frequently, until some of the blueberries burst and mixture thickens slightly. Remove from heat; add vanilla and lemon juice to taste. Serve warm or chilled. If using fresh berries: combine all ingredients in a non-reactive bowl and allow to sit at room temperature for about an hour. If using frozen berries: combine all ingredients in a non-reactive bowl and allow to sit at room temperature until berries have softened (about 4 hours). Habitat For Humanity of Benzie County .